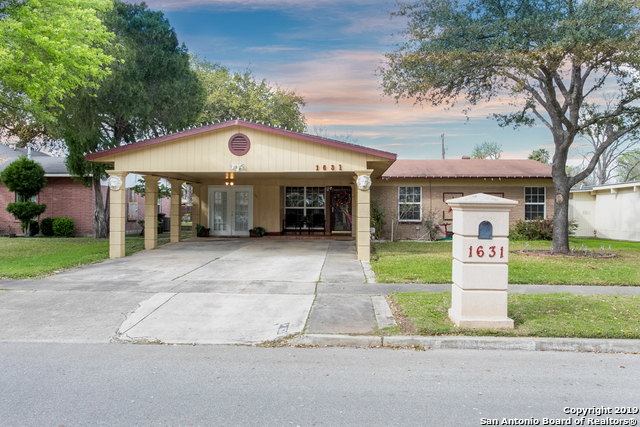 All PATTON HEIGHTS homes currently listed for sale in San Antonio as of 04/24/2019 are shown below. You can change the search criteria at any time by pressing the 'Change Search' button below. "Charming 1 story home offers 4 bedrooms & 2 bathrooms. Open concept floor plan w/ 2 living areas & 2 dining areas. Cute kitchen w/ plenty of cabinet/counter space. Both dining areas are spacious. Nice-sized master bedroom w/ ceiling fan. Master bathroom w/ double vanity. Secondary bedrooms w/ ceiling fans. Backyard w/ large covered back patio, 2 additional flex bedrooms/hobby rooms for large families. This home is a must see!"